I’m a very strange person. When I was at school, my teachers observed two inclinations in me – one of them to arts, and the second to science. Physics teacher was over-persuading me to study physics. But further on my life was miscellaneous. – Igor Nikolaevitch, could you please share with us, where, “what sort of dust” your books, lectures, seminars grew up from? – I’m very happy and lucky man. I was lucky not to become a disabled person after craniocerebral injury, that I had got in childhood, though it must had happened in accordance with all medical indications. It happened so that this trauma, on the contrary, intensified my intellectual abilities. I was lucky with people, very interesting, intelligent, educated, wise, and experienced – they had seen the life in its so terrific manifestations, that even a thought of my own worries about my sores couldn’t emerge. I understood it looked petty against that backdrop. And I’m lucky to be a daring man. 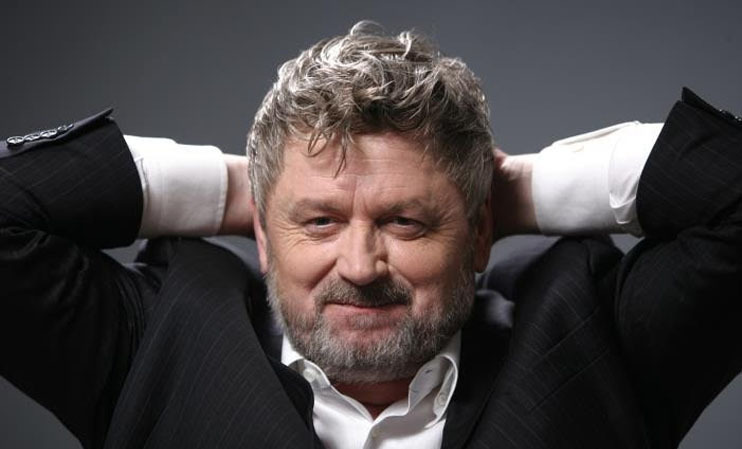 It occurred, probably, because of my protected childhood, covered from two sides: my father was the prosecutor at the Lithuanian railways, I was traumatized, therefore was not to be punished strictly. Consequently I became very bold, I was not afraid of the socium, the opinion of others could not discourage me. I allowed myself to live as I wished to. I always lived interesting life. It was the main criteria for me during many years. And nowadays it remains the same: living must be interesting. And people too. Meeting a new man, I instigated him to sit with me for two hours and talk about himself, his life, and how is it there – inside him. It have been of the most interest to me for all my life, and it still is. Because there is the huge difference between the human’s potential and the life being lived. This inequality is indeed my inner mover. – Could you remember your first intellectual impression, that had headed your palate towards psychology and philosophy? – It was a book I had found at my grand-mother’s attic. Published during the war, it had lost its cover. There were collected stories about the masters successful in their crafts. Two short stories particularly impressed me. The first one was about two elderly locksmiths. I remember they were arguing who was the best master, all the plant took part in their argument, and it all was happening during the war in the Urals. Locksmiths decided to arrange a competition in order to eventually clear it out who the best master was. Besides these two toilers there was a jury consisted of engineers of all sorts. One of the locksmiths produced a detail of highly complex configuration, nobody at the plant could dare to risk such a deed. Full delight. Than the second one took out of his pocket a metal cube. All the spectators started to examine these two productions. The first detail was polished ans scaled accurate to micron, the second seemed to be just a cube, nothing more. Then the second locksmiths took the cube into his hands, did something to it, and the cube split up into, let us say, 8 parts of intricate shape. The master said: “Please, try to put these parts together”. All members of the jury were trying their best to make the cube whole again. But nothing came out. Then master picked the details up again, one-two, and the cube was formed. The warmth of his hands was in need to fulfill the task, so high the degree of accuracy had been achieved while producing the cube. If the temperature was slightly below or higher, the cube couldn’t have been taken apart or put together. I remember somehow it struck me greatly. The second story I had remembered was about a tank plant. Metal sheets were delivered to the plant from a steel rolling mill to apply armour-plating to tanks. One of the sheets was bent, and there was no such a press to make it smooth again. But it was the war time, therefore it could not been thrown away or sent back to the mill. Then an old man was called to the rescue. A young engineer armed with a maul had to assist him. The old man was walking around the metal sheet with a small hammer and a piece of chalk. At the first day he was only pacing and hammering here and there. At the second day he started to set crosses with chalk, his young helper was writing all down to trace the procedure step by step. At the third day the old man bumped with his hammer at three places and told to the younger one: “Smite here, where the cross is, with your maul”. Well, the assistant bumped at that place, the sheet vibrated and got smooth. I was astounded, and I often thought back to these stories trying to imagine, how it was happening… I doubted if they were true stories or fictions. That was just a small book about heroes of the rearward. After my seventh grade I was working at the University’s library, librarians were restoring order there. I worked quickly, carried out daily rate and then, as there was spare time left, I usually immersed myself in reading “Znanie – sila” magazines, collected in files according to the year of issue. I was reading, naturally, about psychology, about people. Just then I firstly read that an average person uses, like a puffer, only three percent of the abilities of his brain. I felt deeply injured after that, it made something to me. I came home greatly impressed and kept on contemplating: how could it be, how? What was it? At that moment I promised to myself to surpass this rate. My father liked philosophy very much. In order to communicate with him somehow, I began to read philosophical literature. I started out with the textbook designated to the political enlightenment schools network. Then I read a book by Spirkin and saw that I need to explore original sources. Therefore my succeeding reading compiled Kant, Hegel, Feuerbach and others. I dislike Feuerbach from that very time. There were psychology books either. I was nearly 16 when I made a list of indispensable knowledge. It was a comprehensive one. The next opening in my life Exupéry became. It had happened during my army service. I still was reading a lot, and once I took in the library Exupéry’s book. I hadn’t encountered this author before. I had read “The Night Fly”, and something happened to me or rather inside me… My inner life changed qualitatively. I don’t know how to describe it in words, but I became very calm within. It seemed as if my internal life had separated from my external life. I plunged from the outer world into the inner one. Some well-wishers warned me telling I should study external and live in it otherwise I would step on the same rake many times. But tell me, what is there in this outer world so special, so distinct? What is it interesting for? It is arranged in a quite simple way. And all became clear to me about this outer world very soon. – So you began to care for the man? – I had started to care much earlier. I was getting ready to become a director, but in this field you couldn’t do without the knowledge of human nature. Being 14, I heard a phrase inside me: “There are no unworthy people. There is life unworthy of people”. I made this utterance my motto for long. It spurred me to scrutinize the man further. I enlarged my knowledge about people. And the more I found out the clearer I understood: there are great abilities incorporated in each given man. But life is often so primitive that it humiliates the man. Yes, I always told to myself: it had turned out to be this way very long ago, and this situation was stipulated by different reasons, the humankind had chosen its way, and any changes couldn’t be done soon. Yes, I saw this disparity and I realized it always, but I didn’t want to accept it. And I don’t want now. I don’t want to live like this. – Does it mean that psychology and philosophy are deeply rooted in your own life? – I was contemplating it for long, and I realized that I’m the happy man. I’m not forced to do what I don’t want to. I have spent all my life living as was interesting to me. And I’ve got the place of safety, where anybody would come, when he is happy. The place of the true faith. – Do you think human life is predetermined? Is there the purpose and sense of life? – Thank goodness, even the science has begun to state nowadays that the future is fundamentally multiple, and it depends on us which options we choose from this variety. Do we choose something or does anybody else make the choice instead of us? It depends on a person. I have been talking about it for long, and not only me but all the marginal spiritual world. There is no fate, fate is a sly excuse. When you drive a car, you look forward, and you receive new knowledge, encounter new events, permeate new spaces, don’t you? It’s true on condition that you steer yourself, in this case you move somewhere. But what happens if you always look back? Many people are living their past. Then all is passing by… The fate, the karma is sitting at the steering wheel, and it drives you nobody knows where. It even doesn’t matter for you where, because life is passing by. Do you know what is the most important thing I’ve discovered while studying the man? If you are not content with something, arrange your own world. I didn’t want to enter a monastery, to run away from people. I saw, that I should build my own world inside this one. And you could extract from it all the emotions and rapport. – Did authorities and society resist your thoughts and actions in any way? – There happened to arise conflict situations in abundance, multitude of various adventures. But every situation should be considered as the source of information. If you don’t get stuck then you learn each time something about the people, the society, the management and relation systems. I haven’t ever been a dissident, although I communicated with many of them in due time. I lived in Moscow having an income of one ruble per day, but I was immensely rich with people. I was lucky to have very interesting exchanges with Yuriy Mikhailovitch Lotman, Pavel Vasilyevitch Simonov, and Pyotr Ershov, who was the author of many works on medical genetics. – You’ve written “The Intellectual Adventures” and “The Metamorphosis”. How do intellectual and esoteric approaches conjoin in this works? – Comprehension is not possible without transformation and vice versa. The conscious has to be armed to the teeth. I worked out the Quality Structures Method (QSM) that represents the mode of thinking about the whole without destroying its wholeness and is intended to enable the potential of human consciousness. Intellectual tools are very necessary. One should reflect efficiently so that to keep tracks of projections – where, what. The self-transformation is the task for a real professional. It is very intricate path. One should master psychology. I was studying the general psychology from conspectus of A. R. Luriya’s lectures that were lent out to me at the University. And I’m ready to pass any exam on psychology. One needs to have philosophical lead-up, and to know logics as well. I was myself involved in teaching, I tried to cultivate in people mental labor technologies, so that to clarify for them what is there in their conscious, what could we add to it, how could we operate it and so on. A man only pretends he knows something about himself, he usually cooks up the self-description for others. And we all have the self-descriptions for ourselves. These two descriptions differ from each other. Because of this gap it happens sometimes that the creature named homo sapience either slumps into disappointment or… or resorts to his great advantage that is adaptation. One has to toil if he wishes to alter himself, what is more, this toil would be tedious and wearing like snail’s move. You know, once Svyatoslaw Nicolaevitch Roerich came to Moscow. I wasn’t present at that meeting, but there were people who told me later. Roerich was asked: “What is determinant for spiritual development? He eyed the inquirer, smiled and said: “Each day has to be spent slightly better than previous one”. Snail’s move. – There is one ingenious marketing ploy hidden in the locution: “the path to yourself”. What is ingenious in it? It implies there is no me inside me. So one has to get going to his own self long and hard way. That means he will need mediators knowing how to get there. That’s all – you are in a trap of this marketing ploy. It just seems that the path to yourself is short. “To” is the preposition that denotes remoteness of the destination. While “into yourself” means that it is somewhere nearby. It lies so close that one can reach to it placing his hand at his chest. That’s what Jesus Christ alluded when he had told about “the Temple inside the man”. He advised to seek inside yourself. But in order to realize this outlook, to reach yourself, you should learn how to talk with yourself. You will need a language. If you wish to find this language, you should switch on you intellect only. Your intellect is the only one guide at your path to yourself. It’s your only chance. Yes, the more we know, the more we sadden. Still… lack of knowledge brings a lot of sadness too. I always say the same. The man doesn’t seek in the right place, he doesn’t look into himself. Most of the people are not interested in themselves at all. – Does that mean prof. Kalinauskas deals substantially with the conscious? How does it work? How can we evolve and amplify it? – I got to the end of the conscious path half a year ago. Stop! The boarder. I’m proud of it! There is such a contraption that I called “the events horizon’. Nobody can go farther. But conscious isn’t all we have. We have got a lot of things besides it. One puzzle is named the Soul. What is it actually? 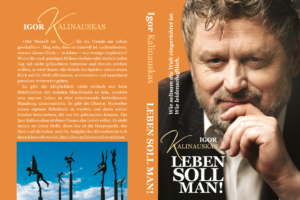 I wrote a book titled “The Rehabilitation of the Soul”. It is my last book. It isn’t big. I wised to talk about the rehabilitation of the soul using common plain language having in mind the people who are interested in this issue. I wished them to find answers in this text, and to immerse in it. I wanted at least to guard my readers from the ignorance and quackery that flooded the esoteric literature market. And it seems to me it has come out. – They say you possess some sort of secret knowledge. Is it true? – There is a Tradition in the frame of which the knowledge is being transmitted from man to man, from one generation to the other. My master has told me: “You will be asked, who is the founder of the Tradition. You should always answer: «Socrates was one of us»”. This is the European tradition, although it is very close to the Sufism and Gnosticism. When I had been told to leave the theatre, the very difficult period begun for me. There were many various adventures, then I went to the Caucasus. I was working as the manual therapist and psychologist with sportsmen, and in parallel took the post in a laboratory at the Institute of Psychology. After a while Chernobyl accident happened. I had made a report at the conference in Saint-Petersburg that was held under the lead of Vlail Kaznatcheev. My report was dedicated to the description of DFC-technique that had been conceived by me. This technique has existed for many years, now it lives its own life. Then I was invited to present my method in the Institute of Biophysics in Moscow, and after that I became involved in the work with the victims of Chernobyl accident. I wrote my PhD thesis there, so I became graduated psychologist, and besides clinical psychologist, that meant I had the right to sign clinical histories. The members of dissertation board told me: “There were many different people defending their thesis here, but one to be the director – it is for the first time!” Nobody but me had come to the thought that the issue could be considered in terms of personal changes. Surely, I was the first in the world to describe guaranteed future syndrome. [Author’s self-regulation technique, later known as DFC, was elaborated with the view of actor’s training. Now it is used in the run-up of the high level athletes. The members of the athletics team of the USSR were using it during their training periods in 1984-1986. I’m lucky because I’m able to see human potential that I dub gist. I see the huge gap between the human potential and the real life a given person lives. I’m a pretty big expert in the field of internal human resources, I train people to use them, and I use these resources myself. [«Your intellect is the only one guide at your path to yourself. It’s your only chance». These words could be used as a motto for the process of creating a new method – the Quality Structures Method (QSM) that represents the way of thinking about the whole. The International a Academy «Management, Informatics and Communication in Nature and Society» elected Igor Kalinauskas its honorary member and awarded him a medal for this discovery. 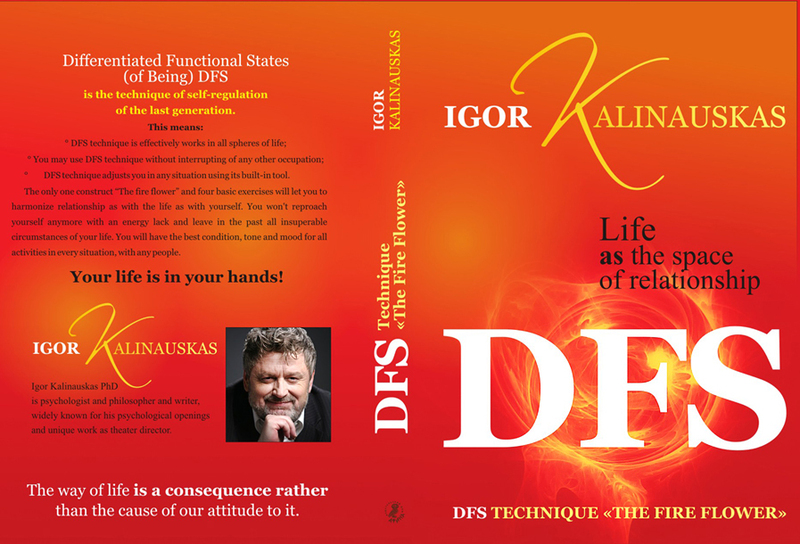 In 1999 Igor Kalinauskas was elected a member of the Academy of Science and Culture in San Francisco (IASC), that awarded him the PhD title in the field of philosophy and psychology of personality as well as Ph.D in socionics. – Who do you feel yourself after all? – All the interviews with me start with this question: “Who do you feel yourself?”. I feel myself me – a psychologist, a director, an actor, an artist, a musician, an esoteric… These are not my professions but vocations, my various personas which, if you like, I created for me myself. They coexist inside me peacefully because I don’t identify myself with them but, as I has said yet, feel myself like me. In 1985 Igor Kalinauskas began to work at the Institute of physical culture (department of coaching). He worked as psychologists with professional sportsmen of highest rank. His system of training was used by the members of Russian and Ukrainian National Athletic Teams, including the World-champion in broad-jump Rudolf Povarnitsyn. Since 1986 Igor Kalinauskas works as psychologist at Kiev Institute of Medical Radiology. He defended there his thesis entitled “Some aspects of pathological adaptation of personality”, based on the study of psychological constitution of the people, who have been liquidating the consequences of the Chernobyl nuclear plant explosion. On 22 January 1996 Igor Kalinauskas became a full member of the Academy of Regional Problems, Informatics and Management. On 14 August 1996 The International Academy “Information, Communication and Management in Technology, Nature and Society” awarded him the title of FULL PROFESSOR in the specialization of “Philosophy and Psychology of Personality”. In 1999 Igor Kalinauskas has been elected a full member of the International Academy of Science and Culture in San-Francisco (IASC). In 1999 the Academy awarded him the title of Doctor of Philosophy in the specialization of “Philosophy and Psychology of Personality”. In the same year he was awarded the the title of Doctor of Philosophy in the specialization of “Socionics”. On May 15, 2001 the General Committee of the International Academy “Information, Communication and Management in Technology, Nature and Society” awarded him with “for specific credit to science” honors. 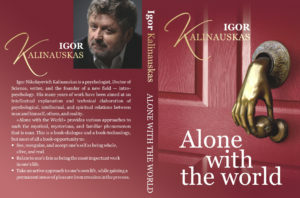 — “Alone with the World” (in Russian, Slovak, Czech, Lithuanian ). First edited in 1991, 8 reeditions. 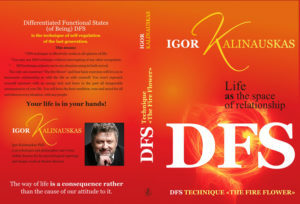 — “Art of living” (in Russian, Slovak, Czech, Lithuanian, English ). First edited in 1994, 4 reeditions. Last edition, corrected and enlarged by the author, published in 2003. — “In search of Light”. Published in 2001. — “Sitting well”. First edited in 1997, 3 reeditions. Last edition, corrected and enlarged by the author, published in 2003. — “Games, as played by “I””. (in Russian, Lithuanian) First edited in 1997. Second edition, corrected and enlarged, published in 2003. — “Male and female beyond the doorstep of Eden”. In co-authorship with E. Veselnitskaya. 2004. — “Games, as played by “We””. First principles of behavior psychology: theory and typology. 2005. — “Transformation”.Notes of a journey. 2006. — “Flaming flower” — Method of Differentiated Functional States (DFS). 2009. Total print in Russian exeeds 180 000 copies.